The NYC Big Adventure: A Guide To Planning your own Spring NYC Big Adventure! 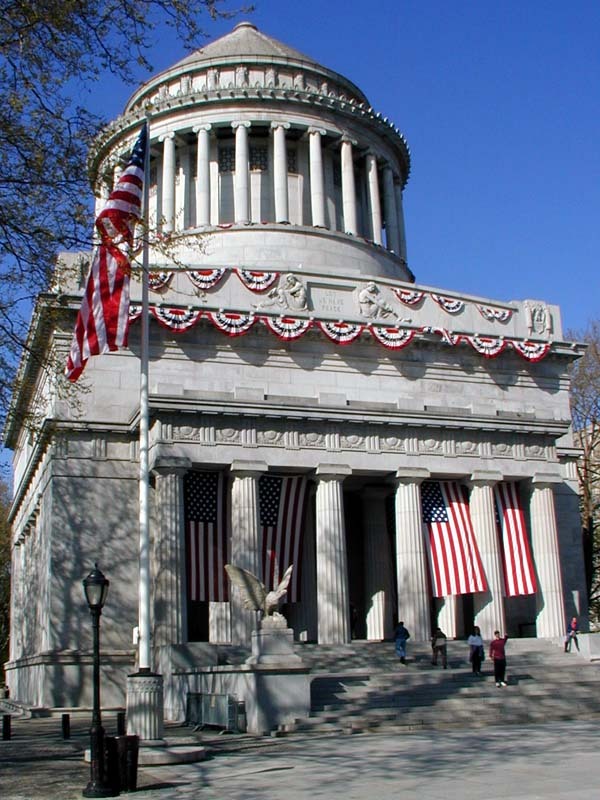 A Guide To Planning your own Spring NYC Big Adventure! Ah, finally Spring is upon us. Longer days, beautiful weather and...what's that...people on the street seem to be smiling. To celebrate, we've put together an itinerary to allow you to create your own "Spring Big Adventure" allowing you and friends to descend upon several outdoor locations throughout NYC. You can make this happen on any weekend day and tweak the itinerary for a day of basking in the sun, enjoying the outdoors and in general, rejoicing in Spring. This has been brewing since Jan 23rd – which was the coldest day of winter when we were suffering through cabin fever and immensely tired of slush and gray. All of us have braved the most miserable winter in a while. Now…we celebrate spring! 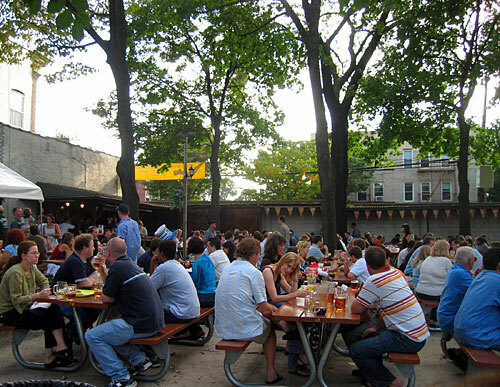 We encourage you to pass the information along to anyone who might enjoy outdoor bars, rooftop locales, competitive chalk art, New York City Parks and musty old tombs (really). If you follow our guide, we promise will be unique, affordable, social and distinctly NYC. 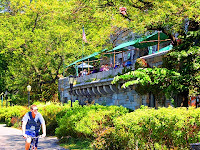 The West 79th Street Boat Basin Café – 1:00 PM –Walk as far west on 79th Street as you can past Riverside Drive until you end up overlooking the Hudson River and Boat Basin. We’ll sit with a view of the House Boats and Riverside Park as we sip Electric Lemonade and fried perfection. The perfect place to soak in the sun and start the day. 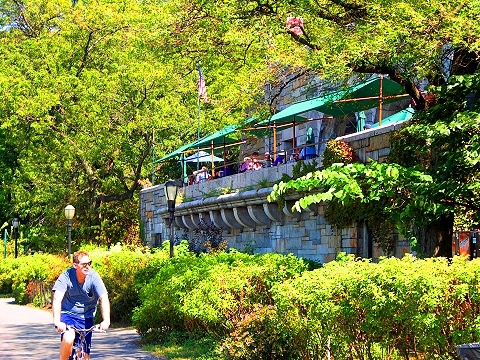 Host a Sidewalk Chalk Art Competition - 2:30 PM –As you stroll through Riverside Park –one of the most beautiful and underrated parks in NYC– set up and enjoy some Sidewalk Chalk Art. It’s art guerilla style (because Sidewalk Chalk is verboten….breakin’ the law, breakin’ the law). Create teams, bring art supplies, endless chalk and lovely sections of sidewalk to vandalize…er decorate. After everyone hones their skills and talent, chose one winner will be crowned the Picasso of the Park! The Salvador Dali of the Sidewalk! The Rembrandt of the Road! The Georgia O'k....you get our drift. 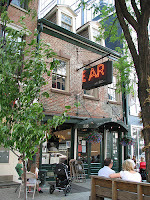 The Heights Bar and Grill – 4:45 PM– Broadway and 112th –The Heights (named after its neighborhood Morningside Heights) is a somewhat secret gem and the only rooftop bar in Manhattan north of 59th street. Swing by for a drink while lounging on the top floor roof-deck patio and judge who has the best sandals in the bar. 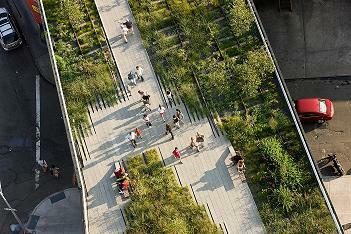 Traversing The High Line -6:30 PM – Entering at 20th Street and 10th Avenue- The plan here is simple – a stroll down the most unique urban park on the East Coast at Sunset. Starting at the northern most section and ending at around 12th street, we’re going to walk every inch of the park and get it on like Ponce De Leon. Lots going on most spring days including a roving book cart and guides. 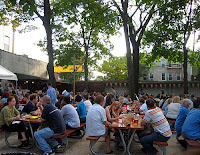 The Standard Beer Garden– 8:00 PM - Little West 12th and Washington Street – Fresh off The High Line and back on firm ground, you’ll be transported to a magical faux German land. Outside and spacious, visitors leave their Meatpacking pretensions at the door in exchange for Ping-Pong, Brats and Steins. 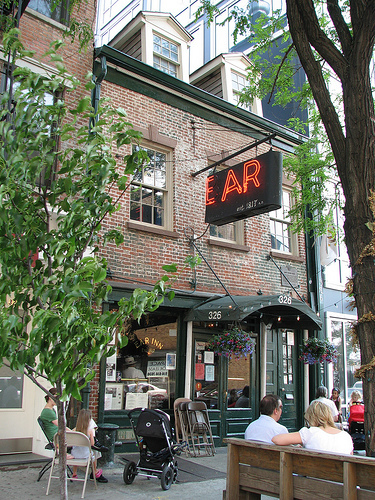 Ear Inn – 10:00 PM – 326 Spring Street near Washington Street – Man, we love this place. End the evening with one of New York's oldest bars where the drinks are as tasty and affordable as the history of the place is remarkable Historic Home turned Brothel turned Bar. Great to get our relaxing on after a long day of trekking. Also known as the Green Door Bar or the James Brown House. God Bless drinking establishments with three names.